Transform your PSD Design into fully Responsive Wordpress Website .High quality & clean code. We offer full time dedicated wordpress designer & developers. 160 hrs per month at very attractive price. Convert 100% Browser Compatible PSD file into Wordpress theme with manually Coding according to W3C Standard. Our wordpress team is able to develop & design any custom themes & dynamic wordpress based websites according to client specifications. We customize as well as design wordpress themes to suit your needs. We can alsocustomize wordpress plugins according to requirements. 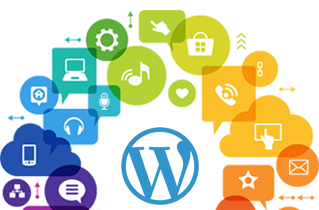 We are well experience in custom plugin development. We can develop wordpress plugins or customize according to client requirements. WordPress india is one of the best options to choose from. WordPress is amongst the best content management systems and open source platforms used all across the world. We offers top notch and appealing websites within budget and a defined time period. With the intent of providing something innovative and unique to our global clientelewe have specialized personnel’s trained in delivering customized web services, conversion of current websites to the intended ones by using plug-ins and tools and PSD to WordPress, PSD to Magento, PSD to HTML, psd to responsive for better efficiency and making websites user friendly and attractive. We provide high quality mobile friendly responsive wordpress websites.We support all major browsers & iphone,Ipad & other android devices.